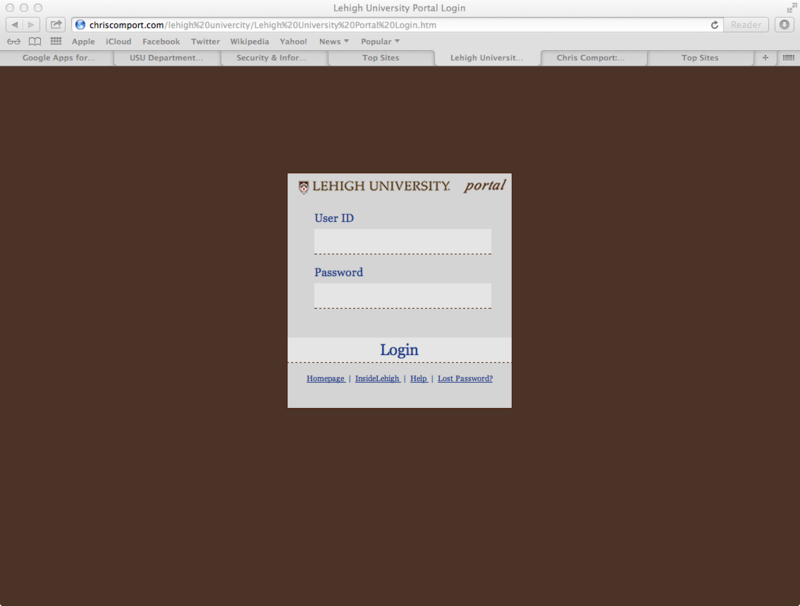 This is the fake portal login page that the fake "Account Update" alert message links to. It looks almost perfect. But notice the address, "chriscomport.com". This page is not real and you should not enter any information whatsoever into this page.